For many years, I have been helping people and their animals connect more deeply and live happy, healthy harmonious lives. 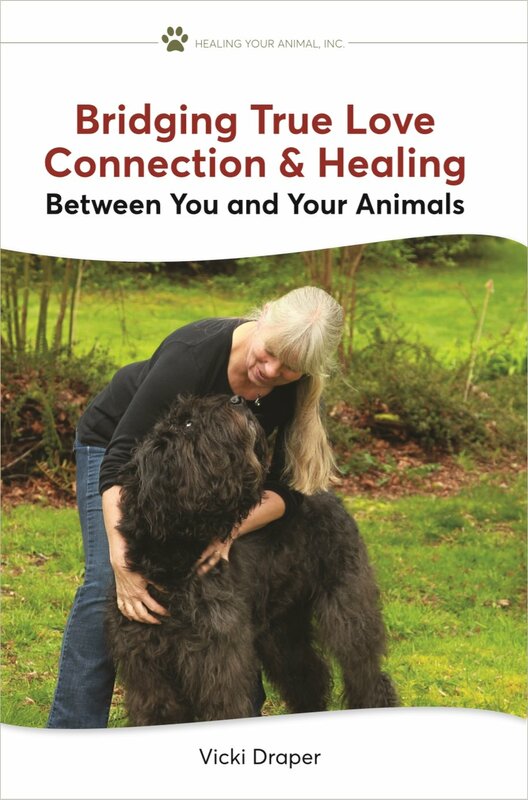 In the book Bridging True Love Connection & Healing Between You and Your Animals, I am now teaching you the proven powerful techniques so you can have this with your animals or with the animals you work with in your animal profession. Animal Wellness Ear Massage Online Program! Your animal's ears contain acupressure points that map to the whole body of your animal. When stimulating these acupressure points demonstrated in these videos provides a superb wellness tool for your animal. Benefiting in adding healthy quality to your animal's life. This program consists of 3 instructional videos delivered to your inbox 1 time a week for 3 weeks enabling time to practice in-between your next lesson. Energy Essentials consists of 5 essences: Ground, Clear, Iceland Spar, Protection and Gratitude. Energy Essentials supports you and your animals with 5 Key Elements to Managing You and Your Animal's Energy, feeling better and living your best. Save more than 13% now! The essences come in 1 oz and 2 oz spray bottles that spray a fine mist. They are odorless, colorless and easily portable. You can take them practically everywhere for support and they are easy to use. Your animals love them and highly benefit. Announcing Essence Packages for People & Animals powered by Healing Your Animal & Vi Miere! Now you can receive 3Xs the support with a package of essences all geared toward your most important needs. Healing Your Animal and Healing You/Vi Miere's special line of mineral, nature and flower essences enhance life through vibrational healing.